Reduce Chafing harness design meets Safety Double Security & Comfort! 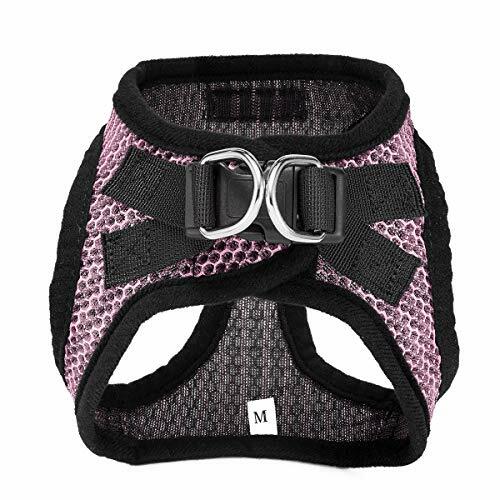 Classic soft mesh harness is one of the best-choice harnesses for dogs of multiple colors and sizes options. Yellow, Pink, Blue and Black, multiple color options, there is always one that could match your style décor! 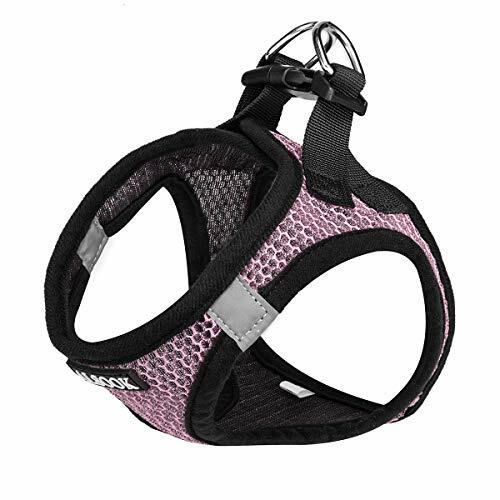 It's made of breathable mesh fabric, this harness is comfortable, safe and stylish. 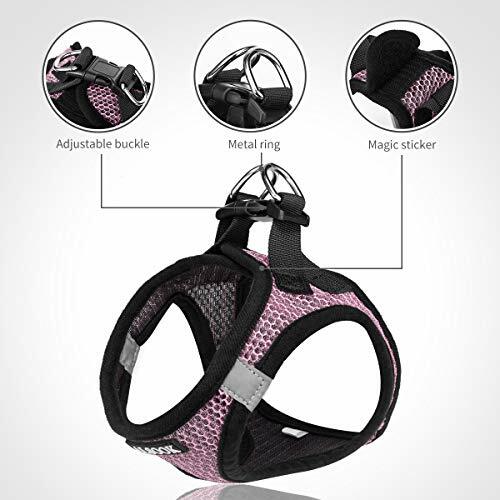 This harness was designed with the dog's comfort and safety in mind. This safety harness evenly distributes the pressure around the chest to prevent any kind of choking. EASY STEP-IN DESIGN: Effortlessly slip this harness on and off your pup in seconds. (3)Off you Go with a Click! Adjustable design fits better than traditional harnesses! 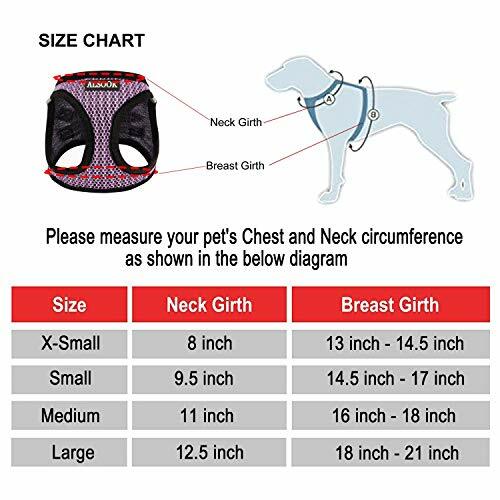 IMPORTANT: For the Soft Harness, there are two important measurement: one is dog's neck measurement; the other is dog's chest measurement. XS Neck 8" / Chest 13"-14.5"
S Neck 9.5" / Chest 14.5"-17"
M Neck 11" / Chest 16"-18"
L Neck 12.5" / Chest 18"-21"
Animals are our friends, love your pet and order now! If you have any issue of our products, please contact us directly and we are eager to rectify it!
? Size Attention: the Size Choice (XS, S, M, L) is not classified according to your pet's weight or size, please follow the measuring instructions and size chart to choose the best size for your pets before purchase. ? 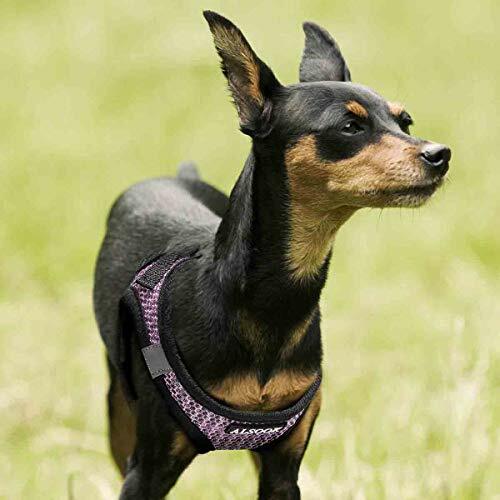 Pet-Safe Material: using breathable mesh fabric, with super plush mesh, comfortable and strong, ideal for all types of weather, especially nice for warm summer days or a brisk winter walk. ? 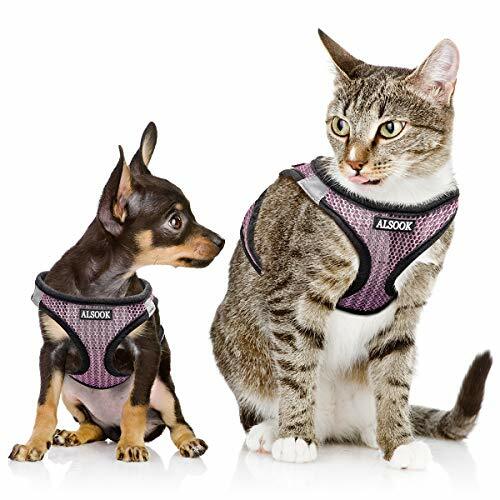 Reduce Chafing - Soft texture with no hard edges or buckles to irritate skin, beside it reduce tugging and pulling on your pet's neck and make your pet walks comfortable. ? User-friendly Design: with easy step-in, velcro, clip design, extra strong velcro provides easy fastening with quick comfortable adjustments. ? Safety Double Security: our harness has three security features: Velcro, Clip and Double D-ring leash attachment points, make you and your pet could enjoy freely with no worries!